The October 2018 box theme was "High School Romance". 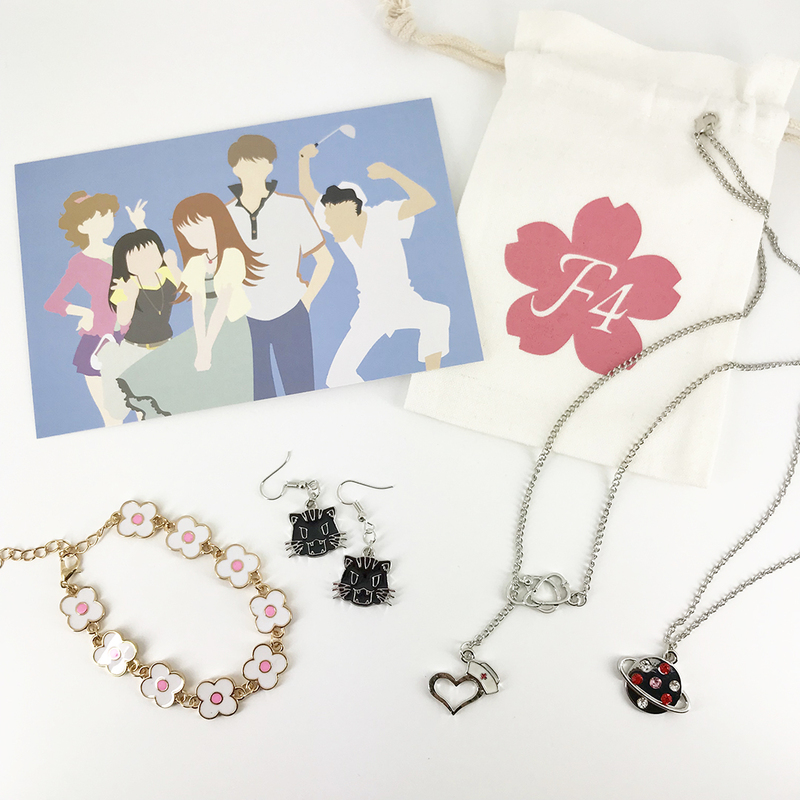 Inside you will find the following items: Erika’s Birthday Bracelet (Wolf Girl & Black Prince), Custom Saturn Necklace (Hana Yori Dango), Palmtop Tiger Earrings (Toradora! ), and Nurse & Doctor Charm Necklace (Itazura Na Kiss). Also included is an exclusive postcard print and cotton canvas jewelry pouch. If you missed this box, now is your chance to grab it!